Kate Moss photographed by Daria Werbowy for Equipment Spring Summer 2016 campaign. Photo courtesy of Equipment. 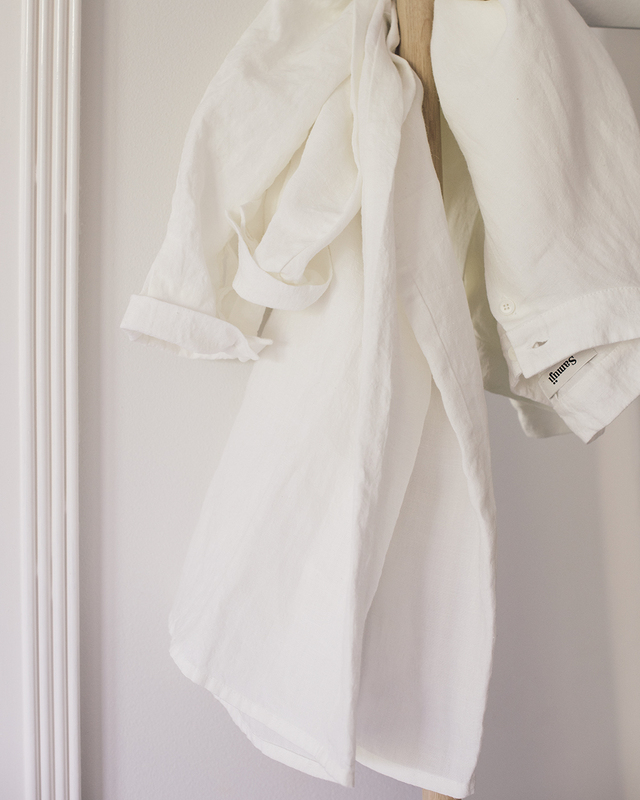 Fine muslin, cotton poplin, silk, linen… as long as it is white.